Buying Guide Index Comparison Chart Plasma TV Reviews Plasma TV News Top 10 Plasma TVs Online Dealers Find a Local Installer Are you an Installer? Pioneer Corp. said it will post a loss for the current fiscal year because of charges to pull out of plasma-television-panel manufacturing after failing to persuade consumers to pay steep prices for its TVs. Do you need a TV Tuner? 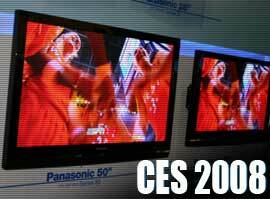 Plasma TV Buying Guide Visits CES 2008 - New! HDMI Cable Hookup Considerations - New! All About TV Warranty Service - New! Contrast Ratio: Are Manufacturer Specs Important? - New! Compare All of our Reviewed Plasma Televisions - New! Runco SP-50 CinemaWall Plasma TV Review - New! Panasonic TH-42PX75U 42" Plasma Television Review - New! Panasonic TH-50PX75U 50" Plasma TV Review - New! Pioneer PDP-6010FD 60" 1080p Plasma Television Review - New! Pioneer PDP-5010FD 1080p Plasma TV Review - New! Panasonic TH-50PH10UK 50" HDTV Plasma Screen Review - New! Pioneer PDP-5080HD 50" HDTV Plasma Screen Review - New!